It is that time of year! Flea and Ticks are out in full force. We wanted to remind everyone the importance of preventative care for these pesky parasites. Fleas are a bloodsucking insect that can transmit diseases to your pets that can be serious and even fatal. 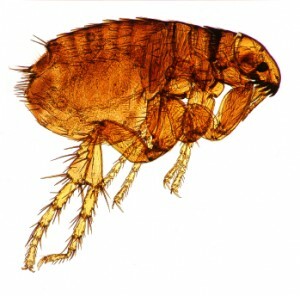 Fleas multiply rapidly; just one female flea can lay more than 25 eggs in one day! Imagine how many fleas your pet can have if you opted not to treat them, it can add up to hundreds and can lead to an infestation in no time. Not to mention that fleas do not just bite animals, they can and will bite humans too. 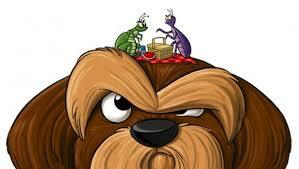 Having difficulty finding fleas, but you suspect that they your pet has them? Sometimes it is not always easy to find the fleas, they move around in hide in some difficult spaces to view. Or, your pet has too much hair. There are some other clues that can help you identify if your pet has fleas. Besides the actual fleas you can see bite marks and welts, however, fleas also leave around black speckled like residue, also known as flea dirt. Besides how quickly fleas can be a problem due to the ability to rapidly multiply. 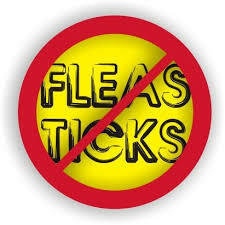 Fleas can also cause health issues for your pets. Dogs and Cats can contract diseases such as tapeworm disease, tularemia, and bartenellosis. Protecting your pet from fleas is about protecting your pet’s health; your veterinarian is the best source for which treatment, dose and regime is best for your pet. Ticks are a parasite that latch on to your pet and feed off their blood. There is a misconception that ticks only inhabit in wooded areas, while this is where they are most common to be found, that does not mean your pets are safe from ticks in urban areas. Unlike fleas, ticks are unable to jump from one source to another. Ticks actually reach out to latch on to their host and then migrate to the location of their preference, typically warm areas on the body. A secondary consequence of ticks is that they also are a carrier of diseases that can be transferred to dogs, cats, and humans. Lyme disease being the most widely known and discussed disease ticks can transfer. 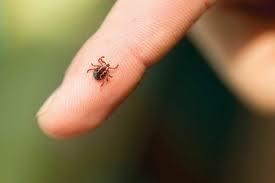 It is important to note that not all ticks carry Lyme disease and there are several different species of ticks. The deer tick is the most common carriers for Lyme disease, while the brown dog tick is a carrier of Ehrlichiosis which can cause permanent blindness and/or autoimmune diseases. The most important thing you could do for your pet is to check them daily for ticks during the peak season April through November. It is important to note that ticks can be present in the winter however, they not as active or efficient as they are during their peak season. Looking for tips to prevent ticks? Inspect your pet’s coat and feel for ticks or hard bumps. If you find a tick remove the tick immediately, watch for signs of infections such as lameness, swollen or painful joints, lack of energy, vomiting and/diarrhea. Bring your dog into your veterinarian to see if testing is recommended. Brush your dog frequently during tick season. To protect your pet(s) from ticks you could apply a topical ointment or even a tick collar year round. Some veterinarians may suggest vaccinating your pet for Lyme disease if you live in an area that Lyme disease is problematic. Want to do more to create a tick safe environment for your pets and/or children who play in your yard? The CDC provided a landscaping suggestion for those who want to be more proactive about preventing ticks in their yard.